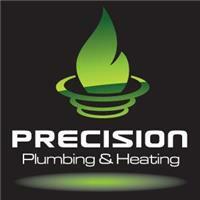 PP Heat Ltd t/a Precision Plumbing & Heating - Central Heating Engineer, Plumber based in Spencers Wood, Berkshire. PP Heat Ltd t/a Precision Plumbing & Heating are a fully Gas Safe Registered Company based in Spencers Wood, close to Junction 11 of the M4, and cover the Reading, Wokingham, Bracknell, Newbury and Basingstoke areas, plus all surrounding perimeters. We offer a reliable, efficient and knowledgeable service for Oil, Natural Gas & LPG fuels that includes all Boiler Servicing and Repairs, new Boiler and Central Heating Installations and Upgrades, Kitchen, Bathroom & Wet Room Installations, Landlord Certificates, Chemical Powerflushing and all general Plumbing and Heating Services and Enquiries. Our engineers are DBS checked and approved for your peace of mind. We are a Vaillant & Grant Approved Installer, as well as a NEST Pro Installer.